I am a batik artist. Specifically, I use the medium of batik as another artists might use acrylic or oils. For me its just an intriguingly different way to create an image. My goal is to envision the ancient craft of batik as fine art. Batik originated in the world of craft where people create beauty to contribute a sense of grace to their daily lives. I try to bring forward the history of that desire for commonplace beauty and use it to form the support for my own imagery. By developing a craft into the fine art of batik painting I begin to feel a kinship with people who engage in this everyday pursuit of elegance and beauty. 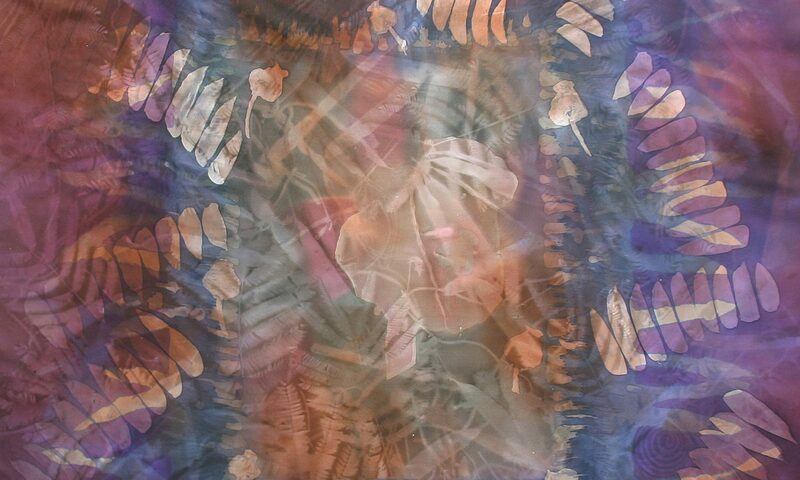 I came to batik painting through my love for its magical qualities of obscurity and revelation. The image is developed through repeated dyeings and waxings, gradually becoming almost entirely covered in wax. The finished work is only seen in its entirety at the very end of the process, when the wax is removed and the image revealed.